Wanna treat a friend to something sweet, decadent and French? Well, let me suggest macaroons from Sucre. A box of these lovelies ended up on my doorstop one day from my good friend Katie and I have been loving them ever since. 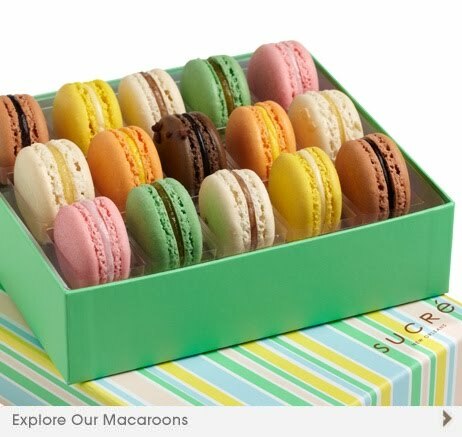 I have yet to taste a macaroon as good as the ones from Sucre. They are melt and your mouth amazing. These are gorgeous! What a great gift idea. Yum!